The DA has called on Makana’s Mayor Nomhle Gaga to act with speed to pay Eskom and implement a Council resolution to ring-fence all electricity revenue. This comes after Makhanda (Grahamstown) brought to 39 the number of South African towns facing disconnection by the power utility. 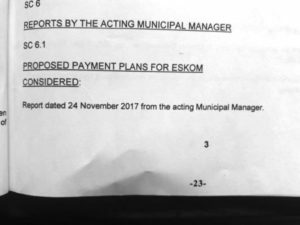 In a notice published in a regional newspaper on 11 October 2018, Eskom says it intends to impose power cuts on Makana Municipality at the start of the Festive Season, continuing indefinitely because of Makana’s outstanding debt of R67 539 876.39. In the first week this will be 6am-9am and 5pm to 8.30pm Monday to Friday, and 8.30am to midday and 3pm to 7pm on weekends. From the second week, the notice warns, power will be shut down from 6am to 8pm daily. ABOVE: Minutes of the decision to ring-fence electricity revenue for Eskom payments. Asked to comment on the threat, the Grahamstown Residents Association said it had been obvious for months that this would happen again. 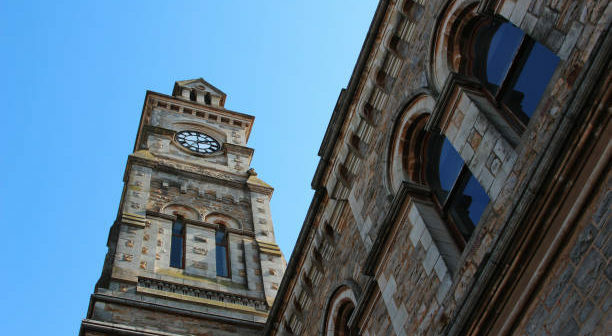 A motion in Full Council on 24 November proposed by councillor Darryn Holm was passed that revenue from electricity be ringfenced for electricity costs. “The GRA learnt in May 2018 that Makana had broken ìts own resolution and defaulted on the current debt payment plan,” Bull said. “And the defaults have been repeated, once again relying on Equitable Share grant to make up the deficit. “The big question is: Since Full Council passed a resolution in November 2017, who has authorised the breaking of this resolution? Someone must have decided not to abide by the resolution and has given authority for the Finance Department not to pay Eskom. Until Makana exercises financial discipline it is bound to keep hitting these problems,” Bull said. The GRA said it noted threats by some to initiate a rates boycott and a petition to call for full administration. “What we are waiting for is a plan from government that puts the municipality on a sustainable path, otherwise it is very hard to argue against these options,” Machanick said. It would seem all that hard work has been wiped off. We are basically back to square one. Nhanha said during Ted Pillay’s tenure as acting MM the Eskom debt had been reduced to about R36 million. “It would seem all that hard work has been wiped off. We are basically back to square one,” Nhanha said. “The citizens of Makana pay for their consumption of electricity and can’t be disadvantaged because the municipality prioritises salaries of a bloated workforce,” Nhanha said in the statement. 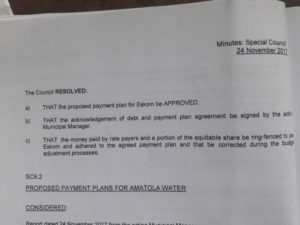 “The DA calls on the Executive Mayor Nomhle Gaga to act with speed to pay what is due to Eskom without delay, stick to the agreed payment plan. 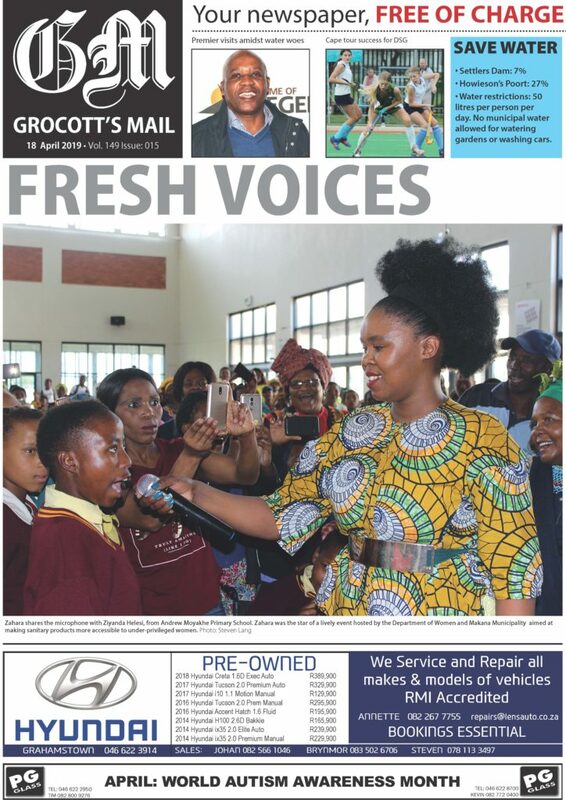 In reply to a request for confirmation from Grocott’s Mail, Eskom said it had invoked its credit control measures as per the bulk electricity supply agreements with Makana Local Municipality. “As indicated in the published notice, this decision was taken after both parties failed to reach an agreement on a plan to settle the debt. Makana Local Municipality forms part of a number of municipalities that are indebted to Eskom and have been issued with the power interruption notices in line with the Promotion of Administrative Justice Act (PAJA) (Act 3 of 2000),” the Eskom Media Desk said. Eskom’s website indicates that Makhanda joins 38 other towns across the country, including Cradock and Middelburg (InXuba Yethemba Municipality), Queenstown (Enoch Mgijima), Komga (Great Kei), Aberdeen, Willowmore, Jansenville and Steytlerville (Dr Beyers Naude) in the Eastern Cape. Towns in the Free State, Gauteng, Mpumalanga and Northern Cape include Brandfort, De Aar, Hotazel and Spoegrivier. “Eskom always takes into consideration the overall impact of the escalating municipal debt, as well as all written submissions, comments and/or representations from affected parties indicating why Eskom should or should not proceed with the contemplated interruption,” the Media Desk wrote in reply to Grocott’s Mail’s questions. 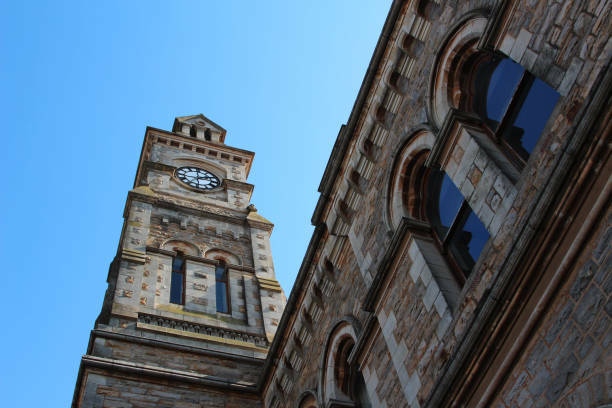 The closing date for public representations, submissions, comments and/or requests is 12 November 2018. 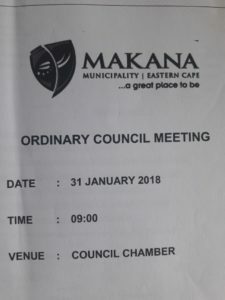 Makana Municipality has not yet responded to a request for comment. 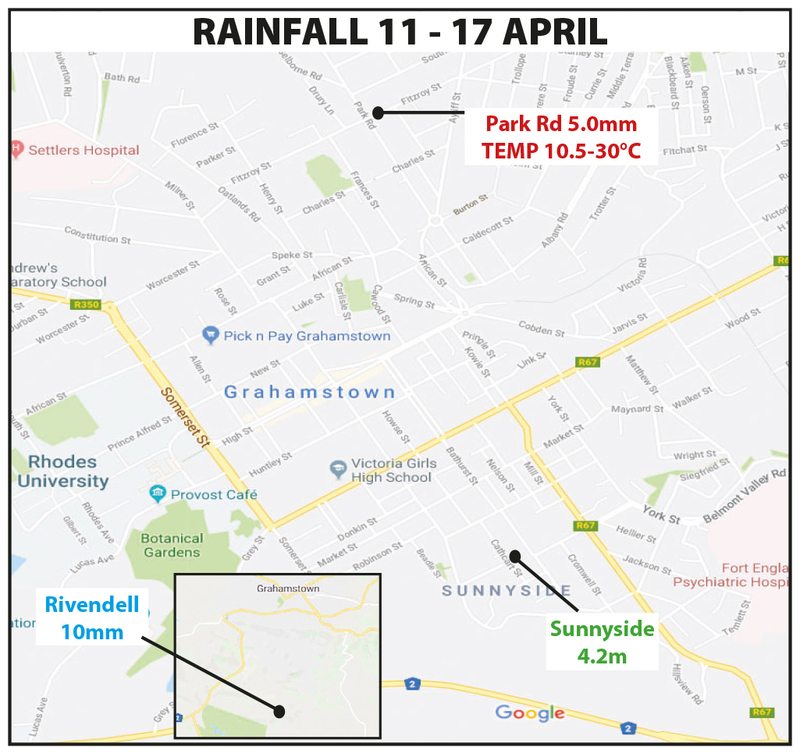 * Updated Friday 12 October at midday.